Ghosn: Confident that the Russian market will stabilize. TOKYO (Reuters) -- The ruble's plunge is creating a "bloodbath" for automakers in Russia, Renault-Nissan CEO Carlos Ghosn said. Nissan and Renault have stopped taking orders for some cars in Russia and could raise prices on others if the ruble continues to fall, Ghosn told reporters today at Nissan's headquarters in Yokohama, Japan. "The bad news is that the market is shrinking. 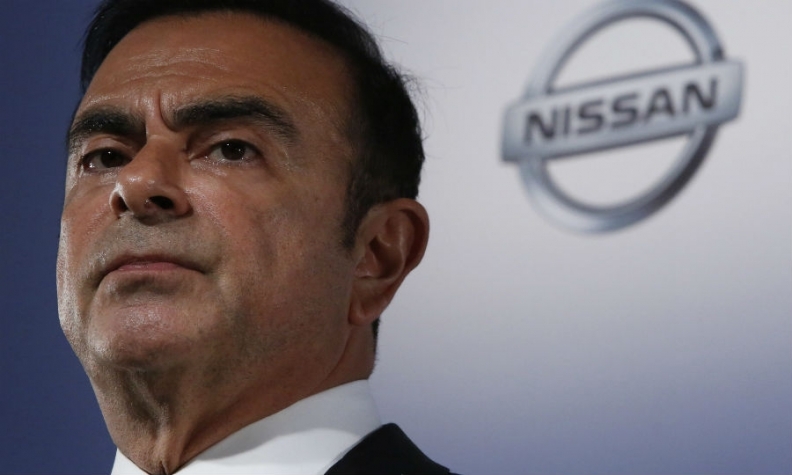 This is bad news for everyone," Ghosn said. "When the ruble sinks it's a bloodbath for everybody. It's red ink, people are losing money, all car manufacturers are losing money." "We have suspended taking orders," Ghosn said. "We didn't do it overall, just on some models. We said, 'Sorry, until we see where this situation is going we don't take orders.' "
The Russian currency has tumbled about 50 percent against the dollar so far this year, putting pressure on automakers, which have had to raise prices and contend with falling demand. General Motors, Audi and Jaguar Land Rover temporarily stopped selling cars in Russia because of the ruble's plunge. Nissan has already increased prices on half of the models it sells in Russia by 5 percent to 8 percent, Ghosn said. The company has hiked prices on more expensive models built in Russia that use high levels of imported parts. Ghosn said he remains confident that the Russian market would "stabilize," but that the plummeting value of the ruble made it hard to make longer-term plans at present. He said the Renault-Nissan alliance is faring better than rivals in Russia and is gaining market share, as a production alliance with the country's biggest automaker, AvtoVAZ, shields it against the ruble's plunge. Ghosn wants to triple sales in the country in the next three years. Taken together, the Nissan, Renault and AvtoVAZ's Lada account for over a third of vehicles sold in Russia. Renault and Nissan have a majority stake in AvtoVAZ. Nissan's vehicle sales in Russia rose 10 percent to 141,879 in the first 11 months in a market down 12 percent, according to data from the Moscow-based Association of European Businesses in Russia. Combined sales of Renault, Nissan and AvtoVAZ vehicles fell 8 percent to 682,841 through November, but the group's market share increased to 30.7 percent from 29.6 percent. Nissan is increasing production in Russia and says that 90 percent of the cars it sells in Russia will be built in the country by 2016.